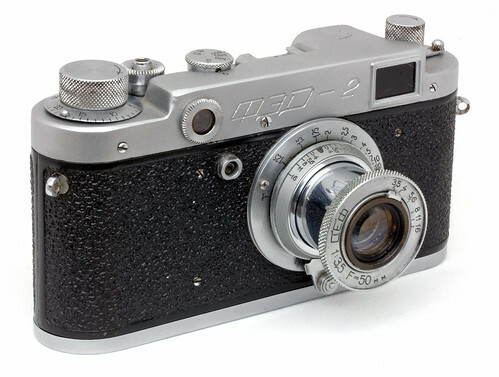 You'd think I'd have learned my lesson by now concerning Former Soviet Union (FSU) cameras but when my bargain hunter's eye alights upon a Craigslist post for a FED 2 I just can't help myself. May be this one will be different. Maybe this one will just work. In reality you know what you're getting into when you buy a Kiev, FED or Zorki. It might superficially look like a Leica, Hassleblad or Contax but it isn't built like one and it certainly won't be as reliable as the original inspiration. Then again, you don't buy old English sportscars for their reliability; you buy one for it's style and the chance to get your hands greasy - FSU cameras are the Triumphs of the camera world. So I knew what I was getting into when I met a guy at a Star Bucks in the North Bay (Star Bucks is the unofficail hand-off point for all Craigslisters); I handed him $45 and he gave me the FED 2c in its distinctive smelling leather case and a leathal looking flash gun from the 70's. To be honest, it wasn't as bad as I feared. 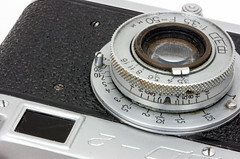 The camera needed a little surface cleaning, the rangefinder needed to be calibrated and the shutter curtains could do with being tightened up a bit. Less than an hour's fiddling and the FED was ready to be fed its first roll of film. The FED 2 does handle well. The technology is ancient Leica but the FSU added an integrated viewfinder / rangefinder with a nice long base more in the range of Contax than Leica. As such it is very usable if primative but it does have such advanced functions as built in stap-lugs, diaopler adjustment, flash sync and a removable back. It handles like the slightly more bulky Zorki 4 but with a slightly more squinty viewfinder. In use it is much like any other FSU rangefinder. It has no built in light meter, but then again, neither did it's contemporary Leica cousins. You take your reading either with a handheld meter of by educated guess. You must advance the film before chaning the shutter speed, then you set the apperture. Now yo7u focus using the rangefinder focusing patch which is adaquate but not overly bright. Finally you compose and press the shutter. The shutter release is reasonably possitive and the shutter itself uses the period horrizontal cloth curtains which make a satisfying noise without being too intrusive. It is a relatively slow way to work but you quickly get used to the workflow. 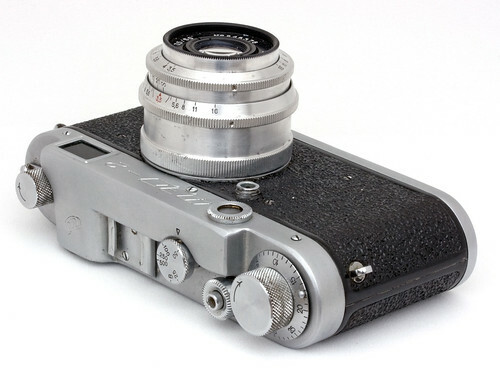 Of course, the FED doesn't have the glamor of the Leica equivellents but it does take you back to a different era of photography for a very low entry fee.